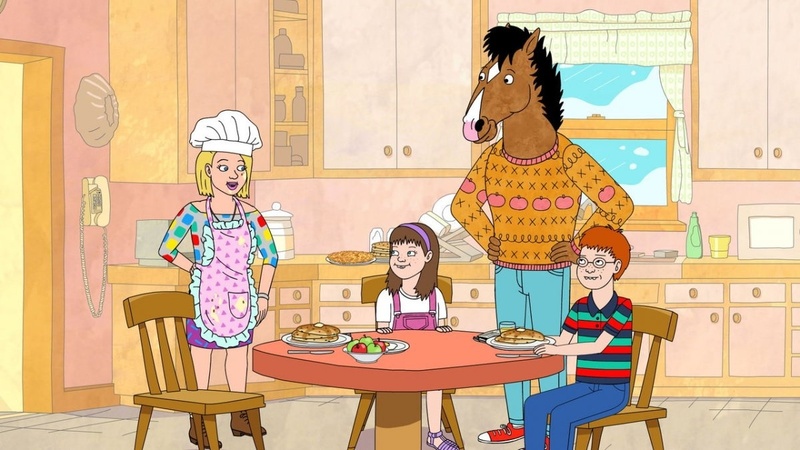 Netflix has renewed its "BoJack Horseman" animated comedy series, featuring the voices of Will Arnett and Aaron Paul, for a sixth season. Netflix made the announcement on Twitter Tuesday alongside an image of Bojack holding up a magazine featuring his likeness up to his face. BoJack also commented on the renewal through the official Twitter account for the show. "Woooowwwwwwwwwwwwwww lets all forget about the fact that theres going to b a season 6 and focus on this inedible arrangement @netflix sent me just woww," Bojack said alongside an animated image of a fruit bouquet. "BoJack Horseman" follows a self-loathing alcoholic horse voiced by Arnett as he navigates through life after starring in a '90s sitcom titled "Horsin' Around." He is joined by his human friend Todd (Paul) and his feline agent Princess Carolyn (Amy Sedaris). Season 5 of the series debuted in September.